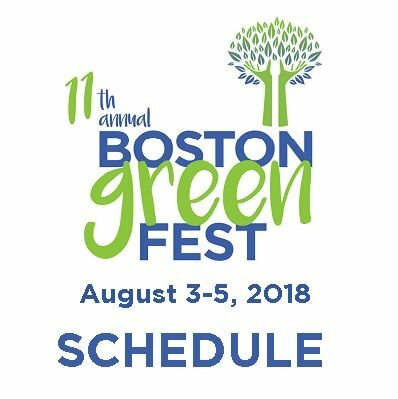 Festival Schedule 2018 - Boston GreenFest - Aug. 16-18, 2019 - FREE! This year, we have consolidated our stages putting all performances on the Main Stage of Boston GreenFest. We have an amazing lineup and are very proud to present our artists to you. Enjoy music, dance, fashion, spoons, fitness and more! The BostonGreenFilmFest is in the Atrium at City Hall with six very compelling documentaries. Don’t forget to take advantage of all we have to offer - the Rock Climbing Tower and Bungee Jumping, Food Trucks, Wine & Beer Garden, wonderful EcoVendors, exhibits, ecoArt gallery, kids activities, robots & innovation! And try out an electric vehicle with Nissan over at Faneuil Hall! CLICK HERE or on the icon to see the FULL SCHEDULE!